GUEST POST BY JULIE GRIFFIN: The Magic is in YOU! We love to have guest posts and we’re so grateful that others want to share their stories and experiences with all of us. Every individual is entitled to their own health beliefs and we respect everyones wishes. 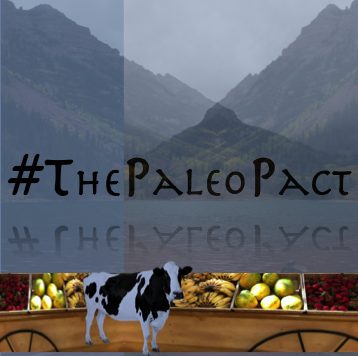 While some of the comments in our guest posts may not be reflective of a true “Paleo Diet”, it is our hope that the common goal of a healthier life will help to guide you in your own health choices. The Magic is in YOU! So much of the time in life we are looking for that ONE thing to flip the switch for our life… that one diet to finally work. That one exciting fitness program or newfangled workout equipment that’s gonna be IT. You know, the one that miraculously causes us to not quit just days in. We are always looking for that ONE Magic thing to bring about the change that we are desperately wanting in our life. But what if I told you that will never happen. There is no Magic diet or exercise program. No Magic relationship or dream job. No Magic number in our bank account that can make our problems go away. Yes, a diet may make us lose a few pounds for awhile, but if we don’t learn to how to heal our relationship with food first, or how to make sustainable life choices in our eating, all we will have accomplished is another failed fad diet and we’ll end up right back where we started. Many times even worse than before. Or we may commit to that new fitness routine or show up to that exercise class, for a few days at least. We may even purchase that shiny, new exercise equipment and actually use it, for a bit… before we lose steam and it turns into another place to store our laundry and collect dust. Because if we don’t learn how to push past our feelings, creating discipline and consistency within ourselves first, there is no fitness fad, class, program, or equipment that will bring about the transformation to our bodies we so badly want to see. problems just disappear. Because they aren’t Magic. You are. The Magic is in YOU. You are the only one who has the power to get in control of your eating and make good, healthy choices of what to put in your body! You are the only one who has the power to wake up every day and produce the discipline and consistency required to watch your body change before your very eyes. You are the one who makes yourself happy, not another person or relationship. Or a job. Or numbers in a bank account. It’s you. Say it with me… You ARE the Magic. You are the MAGIC. YOU are the Magic! The Magic is in you to overcome, to change, to conquer, to be happy, to be fulfilled, to be free. To finally be the person you KNOW is in there… maybe they’re really deep down in there, but you’ve seen glimpses. You feel the stirring at times. That’s the Magic. That’s the YOU that knows you can do this. That’s the you that KNOWS how powerful you really are! I’m not gonna lie. It’s hard. It’s painful at times. But it’s in those hard times, those painful places… that’s WHERE the magic happens. Because it’s where you discover WHO you are, WHAT you’re capable of, and just how POWERFUL you can be! And I promise you, if you will go there… if you will tap into that place inside yourself and stop looking to external sources to do what only you can do, you will Blow. Your. Mind. You will never look at yourself the same. Because you, my friend, are so full of Magic it’s breathtaking! So what is it that you want? What is it that you’ve been trying to accomplish and are always looking to some outside source, something that is just a tool, to make it happen? Now close your eyes, take a deep breath, and feel that Magic come alive in you… you feel it? That stirring and knowing that you are made for more than what you’ve been living? Now embrace it, own it, and get ready for the ride of your life. Because when we tap into our Magic, our lives are never the same again. Who wants more of the same anyway? Not me, and I’m venturing to say if you’re reading this, not you either. You are just too full of Magic for that. Julie Griffin is a Mindset & Identity Coach for women, working specifically with women in the area of Health & Fitness, positive body image, and connecting to their core identity of Womanhood. She is passionate about seeing women truly learn to love and embrace their whole selves, inside and out, and be empowered to show up in this world in a vibrant and colorful way. She is a mom of two crazy, creative, and talented kids, an avid traveler, lifelong learner, all around adventuring soul, and champion of the potential of mankind. In no particular order, she loves yoga, weight lifting, dancing, city lights, having fun, hot weather, and all things ocean! She would love to connect with you, so jump over to her website www.wildandfitinspired.com where you can stay in touch and up to date with the latest that is going on in her world. You can also connect with Julie on Facebook and Instagram. She would love to hear from you so don’t hesitate to drop her a line! Let’s start the New Year off well, shall we?! Especially after consuming sugar and alcohol over the holiday season, it’s essential to drink plenty of water to help your cells cleanse and function optimally. Go through your pantry and get rid of (donate preferably) old foods and unhealthy foods. Make space for the new and the healthy and eliminate temptations. It’s a whole lot easier to make healthy decisions when you have healthy options available to snack on – stock up on fresh fruit, vegetables and nuts, and carry them with you everywhere you go. You might be horrified at what food manufacturers sneak into food products, but the first step to all change is awareness, so take the time to check the labels before you buy. You’ve probably heard the saying “You are what your food eats” – it’s so true and worth pondering. Choose wisely! #6 Know the difference between grass-fed and grass-finished. Many food labels aren’t well monitored and marketing is everything these days, so food manufacturers are quick to label foods with the latest and greatest trend. Be careful what you believe and check the facts. Most grass-fed meat is actually grain-finished! #7 When implementing dietary changes, stick to them for at least 21 days. It takes 21 days to form a habit that you’ll stick to, but it also takes time for your body to get rid of unhealthy foods and feel the benefits of the healthier foods you introduce, so don’t rush the transformation – give your body the time it deserves and truly embrace the lifestyle changes you make. We couldn’t share our top health tips for the New Year and leave out Paleo Cleanse!! 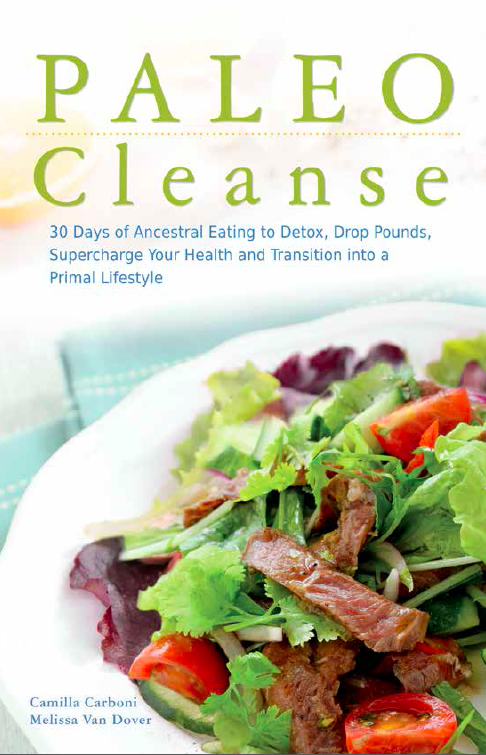 If you’ve done our 30-Day Cleanse already, now’s a great time to redo it and kick-start your health this year. And if you haven’t yet tried our Cleanse, grab yourself a copy over on Amazon or your nearest bookstore and give it a try! We walk you through more tips, meal plans and so much more, to help you detox, lose weight and supercharge your health. Here’s to a healthy and abundant New Year! I’ve been on a Mediterranean kick lately when it comes to my meal choices. Thankfully we have several paleo-Mediterranean recipes on the blog. To show case these fantastic meal options we’ve put together a menu of delicious recipes. This menu is perfect for a dinner party or even a themed dinner for the family. 5 Minute Olive Tapenade– A great start to a fantastic meal. Mediterranean Gnocchi– A great starter or main course. Paleo Tzatziki Sauce– The perfect sauce to dress your gyros. Paleo Garlic Naan– This may have been created from Indian inspiration but it’s the perfect wrap for your gyros. Beef Gyros, Lamb Gyros & Chicken Gyros– It’s your choice but let us warn you…all options are delicious! Date Orange Loaf– Of course we can’t end without something sweet. We hope you enjoy this menu as much as we enjoyed preparing it for you. 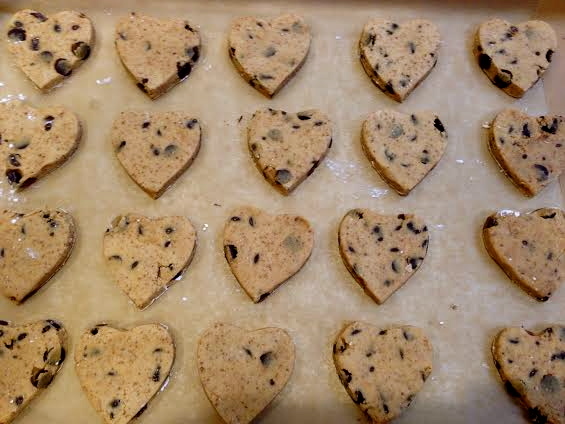 Nothing says “I Love You” like a specially baked, homemade treat. When it comes to baking paleo, many people are worried that it’s too much work or too difficult of a task. We’ve made it simple for you by compiling a list of treats for your special someone this Valentine’s Day. These treats are delicious, but more importantly they’re simple and easy to make. Take a look at our treat menu below! We’ve got something for everyone this Valentine’s Day. Quick & Fantastic Paleo Cookies– If you’re looking for a cookie this is the place to find it. This book is packed with amazing paleo cookie recipes. Chocolate Date Nut Balls– Delicious, easy to make and packed with goodness. Chocolate Sauce– Lets be honest. What’s Valentine’s Day without a little chocolate? Valentine’s Peaches– If you’re not big on baking or cooking, this is simple and very easy! Paleo Chocolate Pudding– For those chocolate lovers. If you didn’t find what you were looking for here, don’t worry. Take a look through our blog and we’re certain you’ll find something that fits both your valentine’s and your taste buds. 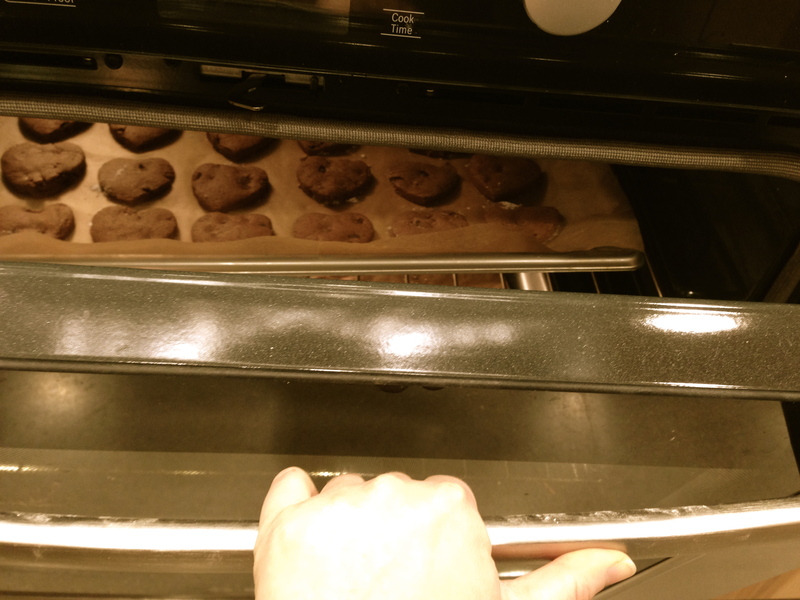 Have fun baking and have a wonderful Valentine’s Day. Are you planning a holiday feast in the next few weeks? Don’t worry, you’re not alone. We’re here to help and have compiled some great Paleo recipe options to fill any holiday feast menu. These recipes are simple, quick and of course…Paleo! All you have to do is select your favorite recipes from each section. You’ll have the perfect holiday dinner whipped up in no time! We hope you have a wonderful holiday season! As always, we’d love to hear from you, reach out to us on Facebook or Twitter.